Now more than ever, I love using and hearing the term “shoe leather”. 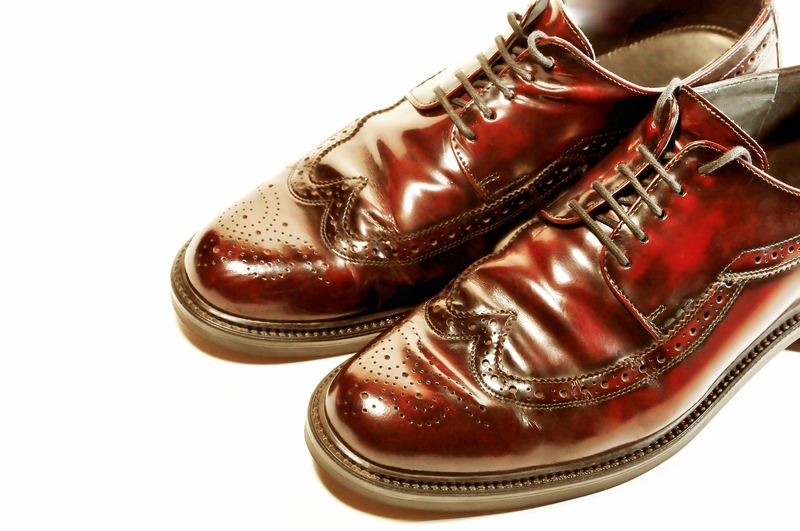 The minute I speak it or hear it, I conjure up the image of a pair of slightly worn, lace-up brown shoes. I don’t recall exactly when I first heard the term used, but I liked it immediately because it made me think of the old way of doing business, of a time when businesspeople called upon other businesspeople and introductions were made in-person vs. LinkedIn. “Shoe leather” makes me think of hard work, of pounding the pavement, of my father’s and my grandfather’s generation, of keeping moving and never giving up. As a marketing professional, I often see and hear too much emphasis being placed on newer marketing tools and vehicles, and not enough emphasis being placed on what I call the “traditional” ways of doing business. While I’m sure there are those who may not agree, I do believe that there are still profitable deals being made and relationships being formed the old-fashioned way — during a cold call drop-by, or an invite to lunch or coffee. And, that’s a good thing. Newer marketing vehicles such as social media play their role in connecting with certain audiences regarding certain products and services, but they’re never going to give a prospective client that warm, fuzzy, welcoming feeling of a handshake, a smile, or a lively, but friendly, debate about how the Boston Red Sox or Bruins are playing. My father always told the story of how, as a very “green” office equipment salesperson, he persistently pursued one client. Despite being turned away several times, my dad continued to drop by the office of the individual responsible for making furniture purchasing decisions. The older gentleman became so impressed with my father’s tenacity that he eventually placed a very large furniture order with him and the two began a relationship and friendship that lasted many years. So, the next time you think about e-mailing or calling a prospective client, think about invoking the “shoe leather” philosophy, and consider paying that client a visit. You may be surprised by the benefits you’ll reap besides getting some good old-fashioned exercise. So, I am happy to report the very next day following my posting, my husband and I were the recipients of “shoe leather” at work. As we drove into our driveway, we saw we had a visitor representing “True Green” who was checking out our lawn and landscaping. Our neighborhood was within her territory, and she was walking door-to-door seeking business for the lawn service. We exchanged pleasantries and contact information, and it could just be that both parties will benefit from this exchange.